Whilst Lady Nina is insightful in her views, I think we can honestly say she's only able to tell one side of the story and I would take everything she says with a large pinch of salt. To remove Ken Friar and David Miles from the board would be like removing the heart from the club. Two very loyal servants to the club who should be retained as long as they want to serve the club. To me it is clear that Lady Nina is trying to move into the area where Alisher Usmanov has maneuvered himself to - a protagonist of the anti-Kroenke/board movement. Where she can throw stones from the outside, but will have little effect on the policy of the club. Surely it's better to judge her on her record of doing when she had a seat of power? She claims to have been caught in the cross fire during the Dein/Fiszman row over the future of the club. But then says she was a supporter of the new stadium. So if she was on the Fiszman, Kroenke and Hill Wood team was she voted off the board by the people she claimed to support? It's all a mystery which will one day be revealed. And while we're talking mysteries, who is the secret source of the BBC story that Arsenal are ready to sell Cesc Fabregas if the price is right? The "senior Arsenal official" said: "The offer was made formally in writing to our chief executive (Ivan Gazidis), and we said no straight away." Asked if the club expected another bid, the source said: "Possibly. If it's enough I expect we'll have to sell." I think we're all clear that the stance on Fabregas leaving the club is different this season than it was last summer. 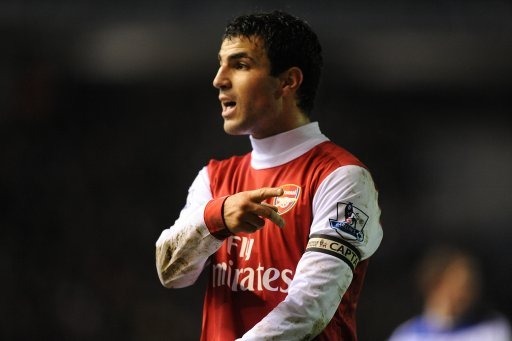 I think we all quite understand Cesc's desire to return home. But the deal has to be right for Arsenal and this is where the problem lies. At present the media have been doing Barcelona's bidding. Being fed stories about how he won't return for pre-season training next week unless he's sold, how he's not worth as much last summer as he is this one because there is a year left on his contract or because his hamstrings are now dodgy. All this is a smoke screen. Barcelona don't want to pay any money for Fabregas if they can help it. They have this belief that they have a right to the player because he was once part of their academy. Unfortunately for them business doesn't work like this. Cesc is very much worth £50m. He's a World Cup winner. Has a European Championship winner's medal as well. He is statistically the best midfielder in Europe. And despite all the time he had out injured last season, performed to his best when some quarters of the Arsenal support wanted to beat him with the stick of not wanting to play for the club. If Ivan Gazidis sells our club captain for anything less than £50m, it's clear to me his legacy will be of underselling one of the best players in the world and not doing his duty to all Arsenal fans of getting the best deal possible. Talk of £35m for a player like Cesc is dirty. Personally I want Cesc to stay. He's worth more to us on the pitch than any sum of money. And if we decide to turn down all Barcelona's offers because they don't meet our valuation of the player, then I'm sure Cesc will act as professionally as he did last summer. It's clear that Cesc has great pride in being Arsenal captain, he loves the club and will go through the pain barrier to play for us. I don't expect him to act any differently if Arsene Wenger wants to retain his services this summer as he's got a long term contract until 2015. He wouldn't have signed for that long if he wasn't committed to the club. What we need now is investment in the squad. We need to bolster the quality of players around Cesc, van Persie and Vermaelen. I don't believe there needs to be major surgery, but it is clear that the depth of our squad let us down last season. Talks have opened with Bolton to do a deal for Gary Cahill. It's been clear for sometime we've been wanting to add to our central defensive pool and if Blackburn want £15m for Samba, we're right to be turning our attention to Cahill who is two years younger. Whether we'd be prepared to pay £17m for a player in the final year of his contract remains to be seen. A quick round up of other transfer stories. The Sun say we'd have to pay £23m for Juan Mata. That's an awful lot of money for a player who is just one year younger than Fabregas. The Daily Mirror link us with a move for Bayer Leverkusen's 24-year-old midfielder Arturo Vidal. They say the Chile midfielder will cost £15m. The club has launched the away kit for next season. I'm still not a fan. (A) It's blue and (B) it's two tone blue! And finally, it appears Jens Lehmann won't be returning full time to professional football next season. His bid to play for Schalke has fallen down.